Eight out of the ten top students that sat for the Grade 12 Ordinary Level exams at the end of 2018 were learners at the St Boniface College near Rundu. Besides producing eight of the top ten, the top two and the best male and female students also received their secondary school education at the school that has consistently produced some of the best results over the past 15 years. 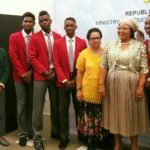 The Minister of Education, Arts and Culture, Katrina Hanse-Himarwa, during her presentation of the Grade 12 Ordinary Level Results introduced the two best candidates. 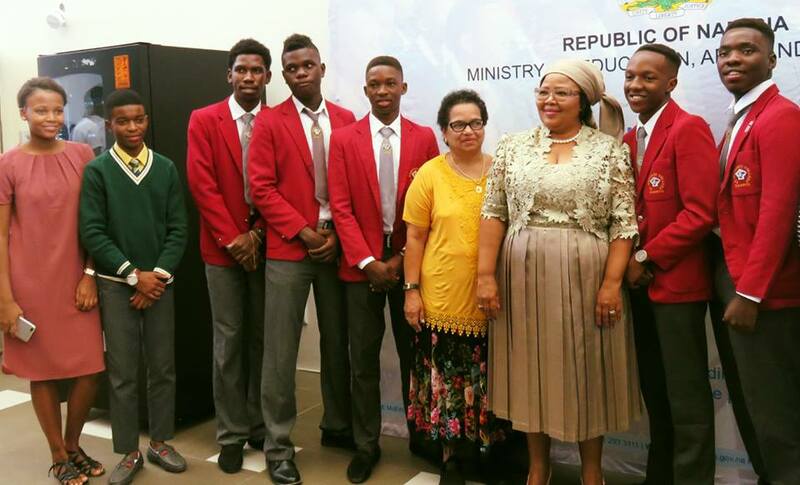 They are Feliciter Rushbiza who managed to score a total of 86.79 percent and Remigius Manuwere who scored 85.18 percent who both completed their school careers at the St Boniface College. Every learner whose name appears on the top ten list scored above 80 percent in total. They are Ndeiweda Ndaamakele, Alexander Mbareke, Chika Sinvula, Sherraine Mahiya, Appolos Kaiyamo, Jelson Quinga, Elwina Vries, and Ronalda Mpareka. Quinga and Vries are the only students that did not attend St Boniface College in 2018.